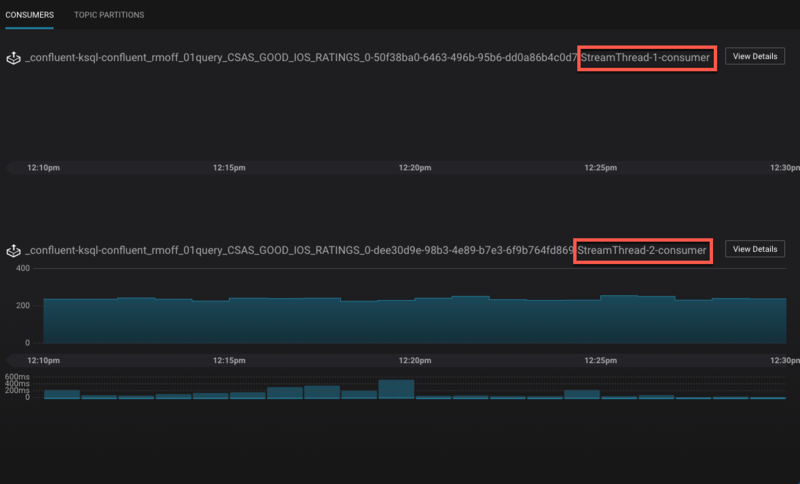 Troubleshooting KSQL – Part 2: What’s Happening Under the Covers? 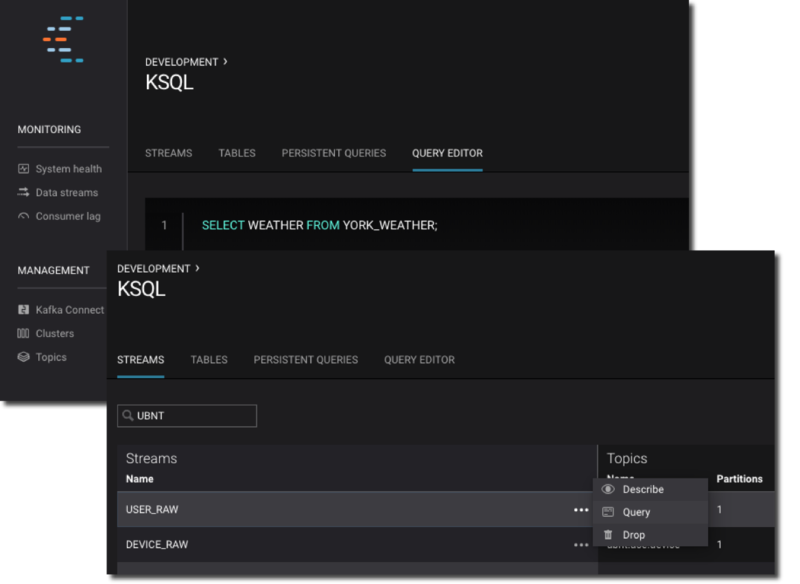 Previously in part 1, we saw how to troubleshoot one of the most common issues that people have with KSQL—queries that don’t return data even though data is expected. Here, we’ll dig deeper into the internals for more advanced troubleshooting and better understand how it all works. You can use this article for reference, or follow along with the code examples to try them out as we go. Using Docker and Docker Compose, we can easily provision an environment in which to explore and try out the different techniques and tools. 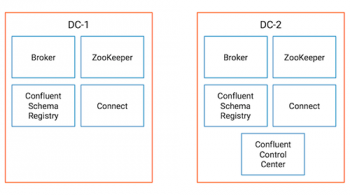 The environment includes a data generator for a continuous stream of events into an Apache Kafka® topic that we will use for testing. All the necessary code is available on GitHub. 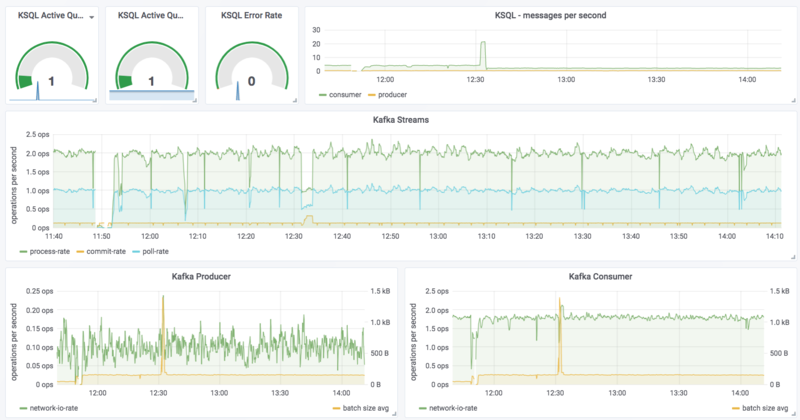 How many messages have been processed by a KSQL query? Because KSQL queries are continuous, this means that we’ve just written and executed an application. It takes the inbound data, filters it for a condition and writes any matches to the target topic. What does any self-respecting application need? Metrics! We need to know how many messages have been processed, when the last message was processed and so on. Also note that an increasing failed-messages count is not a good sign for the health of your query. It could be caused by serialization errors, as discussed in part 1. The metrics shown here are local to the server on which the DESCRIBE statement executes. The documentation includes definitions of all the metrics. What’s happening under the covers? 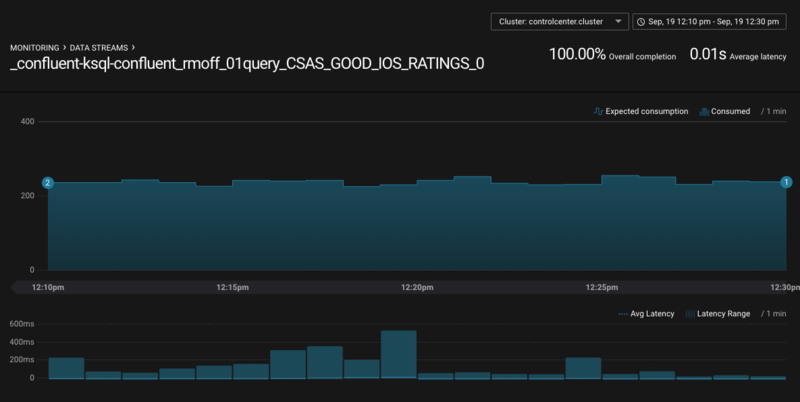 Just the one query is running, populating GOOD_IOS_RATINGS, as defined in the CSAS statement we ran above. The query is called CSAS_GOOD_IOS_RATINGS_0 (which is non-deterministic). > [ SINK ] Schema: [ROWTIME : BIGINT, ROWKEY : VARCHAR, RATING_ID : BIGINT, USER_ID : BIGINT, STARS : INT, ROUTE_ID : BIGINT, RATING_TIME : BIGINT, CHANNEL : VARCHAR, MESSAGE : VARCHAR]. 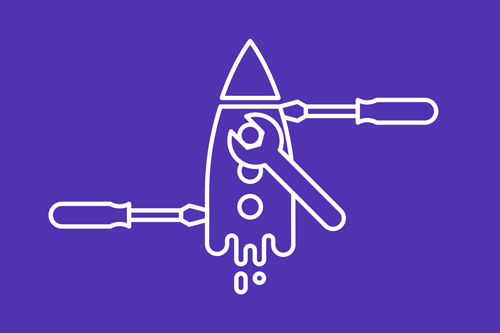 > [ PROJECT ] Schema: [ROWTIME : BIGINT, ROWKEY : VARCHAR, RATING_ID : BIGINT, USER_ID : BIGINT, STARS : INT, ROUTE_ID : BIGINT, RATING_TIME : BIGINT, CHANNEL : VARCHAR, MESSAGE : VARCHAR]. > [ FILTER ] Schema: [RATINGS.ROWTIME : BIGINT, RATINGS.ROWKEY : VARCHAR, RATINGS.RATING_ID : BIGINT, RATINGS.USER_ID : BIGINT, RATINGS.STARS : INT, RATINGS.ROUTE_ID : BIGINT, RATINGS.RATING_TIME : BIGINT, RATINGS.CHANNEL : VARCHAR, RATINGS.MESSAGE : VARCHAR]. > [ SOURCE ] Schema: [RATINGS.ROWTIME : BIGINT, RATINGS.ROWKEY : VARCHAR, RATINGS.RATING_ID : BIGINT, RATINGS.USER_ID : BIGINT, RATINGS.STARS : INT, RATINGS.ROUTE_ID : BIGINT, RATINGS.RATING_TIME : BIGINT, RATINGS.CHANNEL : VARCHAR, RATINGS.MESSAGE : VARCHAR]. The KSQL server log is where you’d head to if you’re suspecting problems with your queries that you can’t diagnose through the KSQL CLI itself. To locate the server log, see here. It also has a powerful streams monitoring capability. What’s the message throughput rate of the pipeline? Were all messages that were written to Kafka consumed by the downstream application, including KSQL? Were any messages consumed more than once? What was the latency of each consumer? 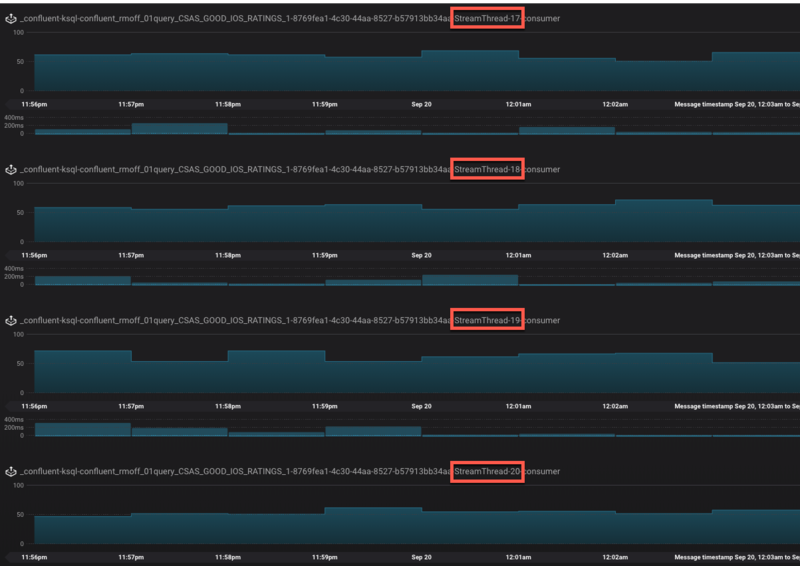 Confluent Control Center can also show you when consumers are over-consuming, which can occur when messages are being processed more than once—or as the case is in this screenshot, the required monitoring interceptors haven’t been set up on the producer. The spike in error-rate as well as the increase in num-active-queries likewise make sense, because the additional query was running against the invalid stream at the time on top of the fact that there was one already running against ratings. 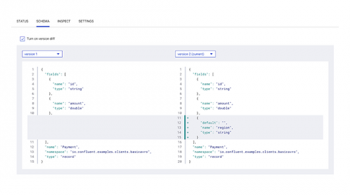 If you want to try this out for yourself and explore the JMX metrics, the complete code samples are available on GitHub. 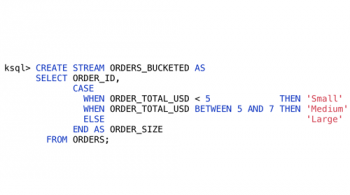 Troubleshooting KSQL – Part 1: Why Isn’t My Query Returning Data? Yeva Byzek April 17, 2019 . Yeva Byzek April 10, 2019 .